Neurofeedback training combines the principles of complementary medicine with the power of electronics. It is a comprehensive system that promotes growth change at the cellular level of the brain and empowers the client to use his or her mind as a tool. Until now, there has not been a single comprehensive yet easy-to-understand guide for practitioners interested in adding neurotherapy to their practice. Getting Started with Neurofeedback is a step-by-step guide for professional health care providers who wish to begin with neurotherapy, as well as experienced practitioners who are looking for a concise guide.This book answers essential questions such as: How does neurotherapy work?, What is the rationale? When is neurotherapy the treatment of choice? Why should I add it to my already existing healthcare practice? The author also answers questions important to establishing a successful practice such as: What kind of training should clinicians get? What kind of equipment should practitioners buy? How can practitioners add neurofeedback to their existing practice? The first part of the book introduces the reader to the world of neurofeedback, its history and scientific basis. Case studies help clinicians apply what they are learning to their existing practice. Demos takes the mystery out of the assessment process and charts and examples of topographical brain maps (in full color) serve as teaching aids. Later in the book, advanced techniques are explained and demonstrated by additional case studies. 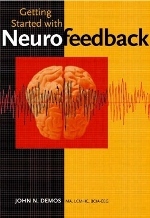 The reader is shown how to use biofeedback for the body to augment neurofeedback training as well as being taught to work with the body and acquire a basic knowledge of complementary medicine.The book concludes by offering clinicians practical suggestions on marketing their expanded practice, purchasing equipment, finding appropriate training and supervision, and keeping up with the ever-growing profession of neurofeedback. Research and theory unite to demonstrate the clinical underpinnings for this exciting new modality.